Looking at reviews to find the best, energy efficient dishwasher for your home? Good idea! 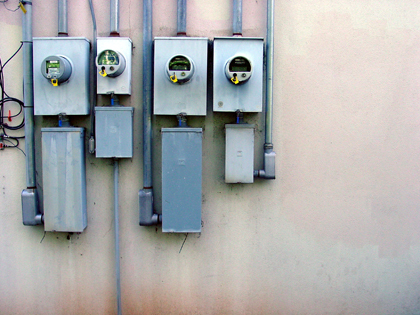 Your home appliances can really add to your energy bills — and your carbon footprint. If you’re in the market for a new dishwasher, look for a model that’s Energy Star certified. Energy Star is a program that was started by the U.S. Environmental Protection Agency in the 1990’s. It created a certification standard for energy-efficient computers and appliances. The EPA says that in 2006, $14 billion were saved in energy costs through the implementation of Energy Star products. Here’s a list of the top ten best dishwashers available in the U.S. in 2011, ranked strictly by efficiency. Most of these are premium dishwashers, so you’ll also get a quiet dishwasher that cleans well too. Model numbers with asterisks (*), contain characters that denote color, or another variable unrelated to energy efficiency. This list was compiled using Energy Star’s Energy Factor criteria, which is a measurement of energy use per cycle. The higher the Energy Factor, the better. When shopping for dishwashers, Energy Star recommends buying one with an appropriate size. Dishwashers that are run full are the most energy-efficient. Standard-size models tend to hold 8 or more place settings, while compact (drawer) models hold 7 or less. Get a compact model if you only generate a few dishes on a daily basis. Also, dishwashers with multiple wash-cycle options (for lightly-soiled dishes, for example), can help you save additional energy. This Swedish Asko extra-large model can hold up to 17 place settings and runs quietly at 45 decibels. It features 12 wash programs and 9 temperature settings. Asko claims that their 500-series models have more usable height than any other dishwasher. It retails for $1,750. Energy Star says it will use 187 kwh of electricity a year, 3.8 gallons of water per cycle, and its Energy Factor rating is 1.16. 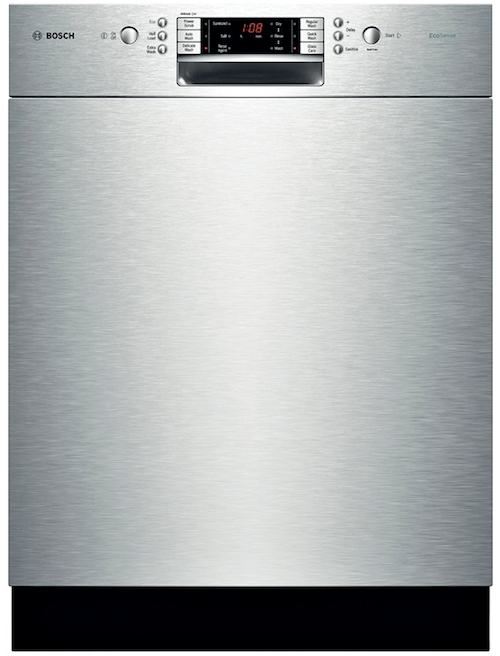 Bosch makes the most energy-efficient standard-size dishwashers, as rated by Energy Star. They also offer multiple washing options, load sensors and adjustable racking, among many other options that all contribute to high performance and retail price. This model holds 15 place settings and retails at $1,800. It uses an estimated 180 kwh a year and an average of 1.56 gallons of water per cycle. Its Energy Factor rating is 1.19. A standard-sized model with a laundry-list of sweet features. Adjustable racks, six wash settings with five additional options per setting and superior drying and an ability to effectively sanitize dishes. It has the same Energy Star specifications and Energy Factor rating as the other Bosch dishwashers listed and retails at $2,100. This model is standard-sized and features adjustable racks and a toned-down version of our last entry. It’s super-quiet at 42 decibels. It’s Eco Sense and Eco Action settings can reduce the unit’s energy consumption by 20%. It has six wash settings, uses an average of 1.56 gallons of water and 180 kwh a year, with an Energy Factor rating of 1.19. It retails at $1,650. This standard-sized model has a half-load feature, among its six cycle options. It runs at 40 decibels and lists a staggering array of further options. It has the same kwh and water usage options as the previous Bosch entries, as well as the same Energy Factor rating. It retails at $2,100. This is Kenmore’s drawer-style compact model. It comes with a food disposer and variable cleaning cycles. It will use about 174 kwh a year and uses an average of 2.7 gallons of water per cycle. Its Energy Factor rating is 1.3. It retails for $655. KitchenAid’s compact drawer model, the KUDD03ST features their Pro Dry system for drying your dishes and a sound insulation system for quiet cycles. It will use an estimated 174 kwh of electricity a year and 2.7 gallons of water per cycle. Energy Star gives it an Energy Factor of 1.3. It costs around $1,000. The older, slightly less-efficient model of Fisher & Paykel’s Dish Drawer model (see newer model below), it features a fully-adjustable racking system and load sensors to maximize performance, as well as some extra space, though it’s still compact. It uses an estimated 160 kwh anually, as well as 2.9 gallons of water per cycle. It has an Energy Factor rating of 1.39. It retails for around $630. The commercial version of Fisher & Paykel’s most energy-efficient compact dishwasher. It has nine wash settings, and a 163-degree sanitizing setting. It holds 6 place settings and uses 157 kwh/year and 2.9 gallons of water per cycle. It has an Energy Factor Rating of 1.39 and retails for around $989. This is a compact model with a fully-adjustable rack system. It holds plates up to 13 inches. It uses 2.11 gallons of water per cycle and uses 154 kwh of power per year. Its Energy Factor rating is 1.43. It retails for around $630. Do you own any of these dishwashers? If so, please leave a comment with your opinion about it, so that others who are doing research before they buy a dishwasher can get your feedback and choose well.